Wishful thinking about UP if indeed the tournament is limited to 8 teams. The top 4 teams is reserved for ADMU, DLSU, SBC Lyceum. You can bet that organizers will invite the CESAFI champions University of VISAYAS. Who the other 3 teams are still a mystery. Will this be televised sa S&A? Any chance they will play the games (at least semis / finals) in MOA / Araneta? I do not think a school outside of metro Manila has won the tournament. Not the CESAFI teams that had Fajardo, Slaughter or the SWU team of Mbala. The Manila teams simply overwhelmed the Cebu teams with their bench depth. But to be the best, you still have to beat the best. The VisMin teams will be motivated to dethrone the Manila schools, will the latter fall become complacent and yield the throne to VisMin? Aside from beating the Manila schools, CESAFI players get the opportunity to showcase their talent for Manila schools. Slaughter, Mbala, Akomo, Santillan, Manzo and Baclao are just few of the players who eventually transferred to Manila. An option would be for SBP (or whoever is the governing body of Philippine college basketball) is to formally re-organize college hoops like the US NCAA, wherein the UAAP, NCAA, CESAFI and others would be considered sub-leagues of the PCCL (similar to the ACC and Pac-12) with their respective knockout and playoff stages), and the PCCL would be formally recognized as the March Madness type playoff tournament. Implementing this would be difficult and require a lot of time, energy and money, but if the higher-ups realize this and buy in on this vision of raising the level of competition to further improve and develop the players, we should be able to get there eventually. ^ Not in my lifetime will it happen. The alumni of the big schools could care less about the PCCL or other preseason tournaments. The FMC and Fil-Oil summer tournament are used by teams to gauge how their team are jelling before the NCAA and UAAP tournament. Nobody remembers who won the summer tournament but the regular season is different. That's an interesting idea also, imagine a Cinderella team like UP or a non-CESAFI VisMin schoolsneaking into the PCCL playoffs and claiming the national championship over a SBC / DLSU / Ateneo? Nice comparison on UAAP and the ACC (ACC is also still the premier sub-league of the NCAA, so UAAP does not have to lose its luster with a PCCL March Madness playoff), I would consider the NCAA to be similar to ACC since San Beda is so dominant year in / year out ala Kentucky. If you ask alumni fans which tournament they'd rather have their school win, the PCCL or their mother league, all of them would respond with the latter. Unless that changes you just won't see as much attention or prestige bestowed on the PCCL. The organizers should start small, have a one game knockout match between the UAAP and NCAA champions for the right to be called national collegiate champions. I think the current Ateneo and San Beda fan bases would be interested in having their team best the champion from the other league. After a couple of years of getting traction and having the tournament mean something, they can expand to add the CESAFI champion and some other leagues. The key here is to cultivate interest first and then building on that instead of simply assuming that there's a ready market. I like that idea pero poor organizing has relegated this to a lower tier, I believe. The 12 MM teams should come from ALL collegiate leagues in existence in this region (I'm calling you NCBL, ISAA and other leagues). Let's just hope the minor collegiate leagues will send their champions to the PCCL should the championship reorganize or expand. In reality, ito ang pinakaunang pre-season tournament sa Philippine college basketball. Are you a tennis fan? 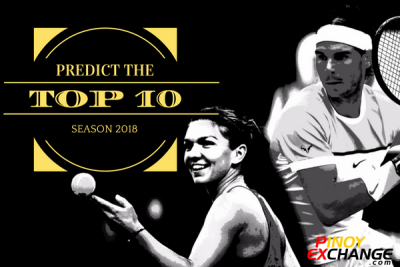 Join the 2018 Tennis Top 10 Prediction Challenge! Who will make it to the game's elite at the end of 2018? 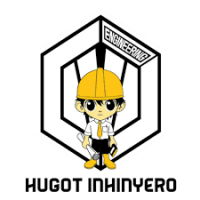 Get a chance to win exclusive pins and a PEx merch bag. Submission of picks is open until January 1, 2018 - 11am, PHT. Check out the official thread for more details!